Since I’ve already given you the recipe for KK, I may as well let you have the one for its big brother, KKK, too. Not that it’s very different. Just a little bit more of everything than the KK. But the same basic grist of 75%, 12.5% flaked rice and 12.5% No. 2 invert sugar. I can tell this is going to be a short post. That’s already pretty much everything I need to say. I know something I can tell you. Unusually, Barclay Perkins continued to brew really strong K Ales after WW I. 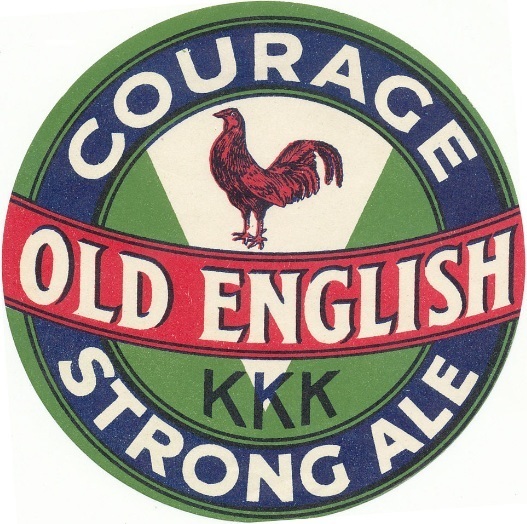 In the 1920’s they brewed a beer called KKKK, which had an OG of 1079º. It was only available in the winter and from adverts I’ve seen, appeared to be served from a pin on the bar. 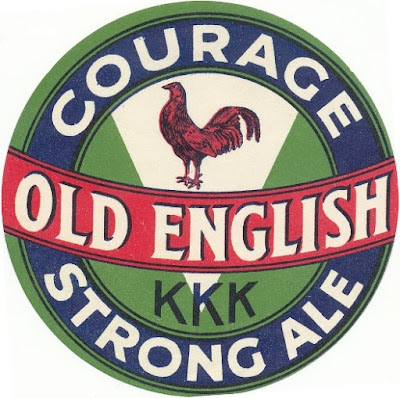 I’ve just had a look at my spreadsheet of Barclay Perkins brewing records and was surprised to see that KKK, which was discontinued during WW I, did reappear in the early 1920’s, and with an OG of 1082º, just about at pre-war strength. And, with batch sizes of a little over 100 barrels, it was being brewed in decent quantities. Unlike Fuller’s OBE, a similar beer, of which there were usually fewer than 10 barrels brewed at a time. I’m not sure in which form KKK was sold. Probably on draught, as was most beer in the 1890’s. That’s really about the start of bottled beer as a real mass-market product. That’s me done. I told you it would be short. Ron was this stored/ aged before sending out? I would have thought so. A couple of months in trade casks. Ah so there is a good chance of some secondary fermentation by Brett ? Barclay Perkins started using it in the 1880's. Which is pretty early. Whitbread didn't us it until 1924.
almost certainly a Brettanomyces secondary fermentaation.